If you are unlucky getting into a hospital, especially in the Intensive Care Unit (ICU) with nurses rushing along the corridors, physicians solemnly emerging in patients’ rooms, your last concern is Artificial Intelligence. Those high-brow semi scientific discussions overwhelming developers’ forums, social media or IT shows seems irrelevant for the laborious everyday ICU life. Big misperception. For correct diagnostic image tests are often needed. For example, head computerized tomography (CT) is the gold standard to diagnose the acute stroke in the first 3 hours after a suspected cerebrovascular accident (CVA). While ischemic stroke requires anticoagulant or antiplatelet therapy, the same therapy is killing for patients with haemorrhagic one. However , a CT scan doesn’t produce a clear enough image for ischemic stroke, which is normally 80% of the cases. Therefore, according to American Academy of Neurology within 12 hours of a person’s first stroke symptom diffusion MRI should be considered more useful than a CT scan. For several days I was observing the hard work of highly competent neurologists in one of the most respectable university medical clinics in Bavaria, Germany. The team of clinicians was struggling to understand the development of multiple recurring ischemic strokes occurred to a patient approximately within one-year. Several MRI scans provided by different hospitals in different time periods had to be carefully studied and compared. A seemingly straightforward task. However, every day a new version of diagnosis appeared: yes, there was a stroke, no there was no stroke or it was, but long time ago. All those days a patient and his family were lost in anxiety while several physicians were spending hours obviously keen to understand the given neurological problem. Finally, the medical consilim stipulated that the image resolution was not sufficient for a correct vascular comparison. Scans interpretation is complex. It depends on human experience, but to the great extant on external factors last but not the least the resolution of MRI equipment. The strength of magnetic fields is measured in Tesla. The lower the magnetic field strength, the less clear is the image. Most MRI scanners have a field magnitude of 1.5 Tesla. The golden 3 Tesla standard is not affordable by an ordinary hospital. Hence the optical resolution of MRI is not always sufficient to distinguish lesions from artifacts. Than it is a human factor: reading numerous scans every day is a challenge for eyes and brains. Here were Artificial Intelligence (AI) and Machine Learning can help. 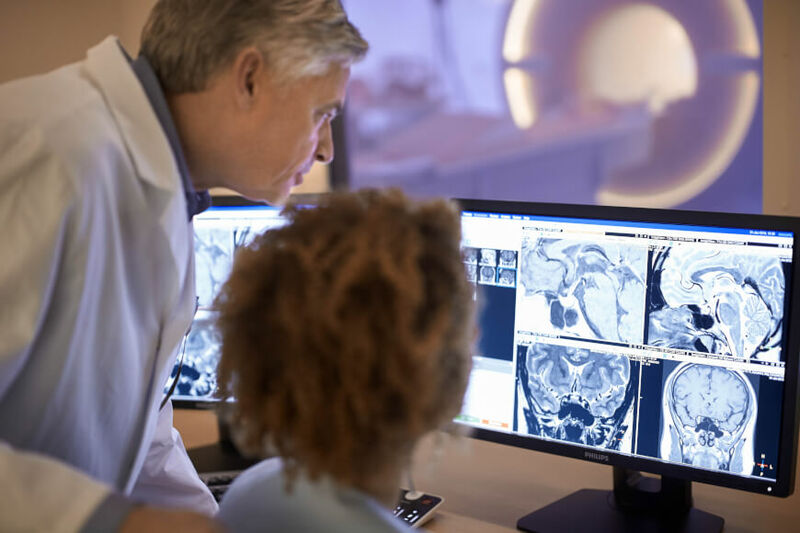 The AI software can explore a vast numbers of input data e.g., lesions displayed on MRI or CT images comparing them to correctly defined brain injuries. Capitalizing on previous errors, AI systems can endlessly learn to properly identify injuries on computer scans. By distinguishing resemblances and variances in observed objects computer will develop patterns based on acquired knowledge. Eventually, the AI concepts were inspired by the ability of the human brain to process information. Humans are able to think and communicate due to population of interconnected brain neurons that carry specific functions when activated. Each neuron is interchanging signals (synapsis) with other neurons with the help of electrical or chemical substances. Similar to biological neural networks, artificial neural networks (ANN) are comprised of a number of interconnected units, or artificial neurons. Each artificial neuron is linked to several others, transmitting signals along these connections. Computers empowered by ANN can operate with the speed and scopes of data far exceeding the capacities of a human brain. According to a new study published in Nature Medicine, an artificial intelligence platform was able to detect acute neurologic events in CT images in just 1.2 seconds. The researchers have trained a 3D convolutional neural network with a clinical radiology dataset of more than 37,000 head CT exams. 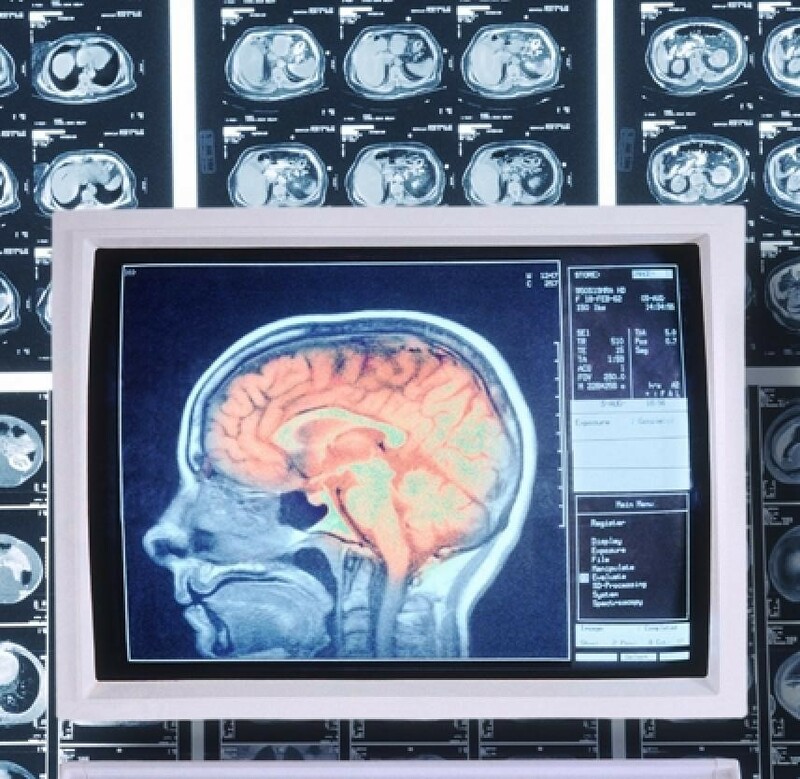 The system was capable of diagnosing neurological perturbations such as stroke or haemorrhage faster than any human radiologist, alerting specialists when an issue was detected. Noise from electronic scans or tissues in the body can also seriously deteriorate the quality of images. To achieve a better image, one needs to apply a stronger external magnetic field which means a more expensive MRI machine. To address this issue the researchers from Massachusetts General Hospital (MGH) Martinos Center for Biomedical Imaging and Harvard University have developed an artificial-intelligence system called AUTOMAP. The system uses artificial intelligence-based method to effectively distinguish signals against noise to improve quality of images in the low-field MRI machines. The team has used a set of 50,000 MRI brain scans to train AUTOMAP to reconstruct images and detect neurological injuries. Researchers claim that AUTOMAP would provide instant image reconstruction to support the decision-making process during scanning thus preventing additional patient visits. Another example came from China. According to the Chinese news agency Xinhua, Chinese researchers from the Chinese Academy of Sciences, in collaboration with doctors from the People’s Liberation Army General Hospital and General Hospital of Guangzhou Military Command, have developed an artificial intelligence model to estimate brain injury severity. Brain images from approximately 63 patients with disorders of consciousness (DOC) were recorded onto the system after one month of their brain injury. Following the data feed, the model assessed patient’s likelihood of recovery according to the information being recorded. The achieved accuracy rate was of 88% in 100 cases from the datasets from both hospitals. Should AI eventually substitute the intelligence of the humans? Probably not, at least in the foreseeable future. Trained radiologists are capable not only of tracking anomalies on image scans, but analyse the entire disease processes. Since AI is dealing with patterns it is hard so far for such systems to cope with unpredictabilities. Humans, on the contrary, are capable of foreseeing things by extending their experience. This life experience relies not on fixed data input however enormous it can be, but on dynamic interaction with the everchanging outside world. Hence creativity, imagination are still prerogatives of the human brain. The reliably of AI systems are also questionable and have to be verified by human experience and common sense. AI systems very much depend on the accuracy of input data and samples. The insufficient input data and wrong assessment (assessing weights to input data) may lead to the corrupt data sample and, consequently, to wrong predictions. Presumably, the AI systems will compliment physicians especially in such realms as radiology, oncology or neuroscience. By detecting minor image variations, that can escape human attention, AI can facilitate faster and more accurate decisions. It can also to provide clinicians with high quality images derived from the low-end MRI machines. As for us patients, hopefully our health will not depend on the poor quality of MRI resolutions and complexities of image interpretations.